Quick Story: April has been a great month for My Bullet Journal. I am starting to follow a system on how I do my weekly and monthly pages. I also started making each entry colorful and I guess it helps having a better looking Bullet Journal. My Muji A5 notebook is coming to an end and it will only last me until end of April or May. After that I will be investing in a Leathcrum1917 A5 grid that's used by other Bullet Journalers as well. However, the dotted notebook that I need is always sold out so I guess I'll be buying another Muji A5 notebook so I can continue bullet journaling for the coming months. 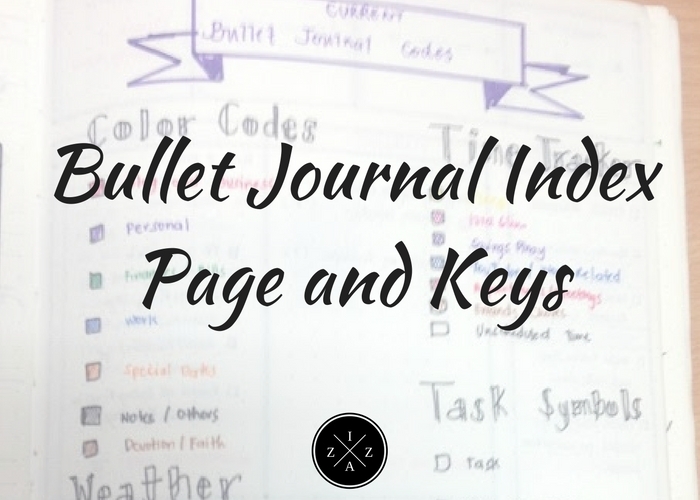 Today I will be making a detailed post about the Index Page and Keys which are two needed components in making a successful Bullet Journal. Hope you like this post. 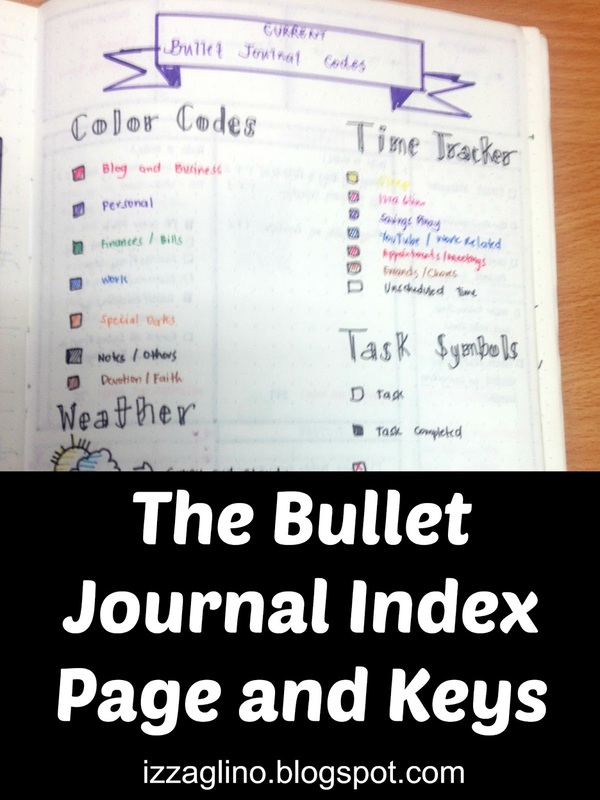 On my past posts I mentioned the Index Page as one of the core components of Bullet Journal. 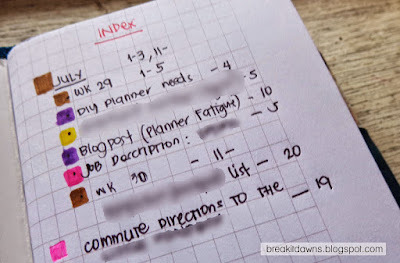 Index Page works simply like a Table of Contents you can use to turn your Bullet Journal easily on the page that you needed. 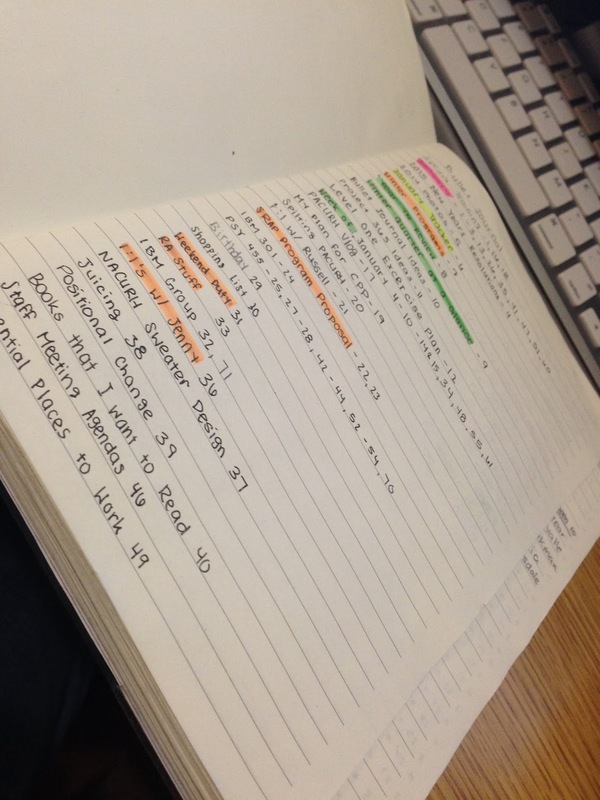 Index Page is also what makes Bullet Journal unique. If you happen to be a planner person you have surely used numerous planners and organization but nothing offers this type of option --- a table of contents in the beginning. The Bullet Journal community grew in such a short period of time and there are now different ways and alterations you can do to prettify your Index Page. See below examples of Bullet Journal Index Pages from some of best Bullet Journal Set Up ever!!! 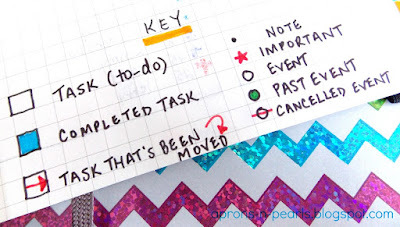 Keys play a major part in each Bullet Journal entry you create. 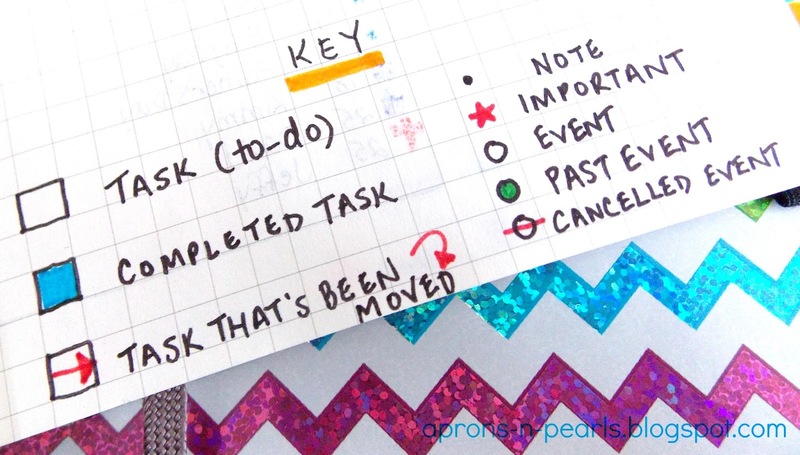 They give identity to your notes making it each item clearer for rapid logging. Rapid Logging is a technique wherein instead of putting more and more ideas in your mind, you dump them down into writing. And you introduce each item with a particular key as an indicator. 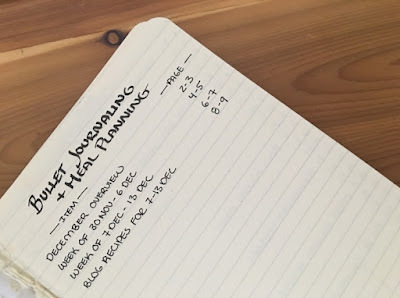 There are three main keys in the Bullet Journal System. The square/checkbox for tasks, the circle for events/meetings and the dot for notes. 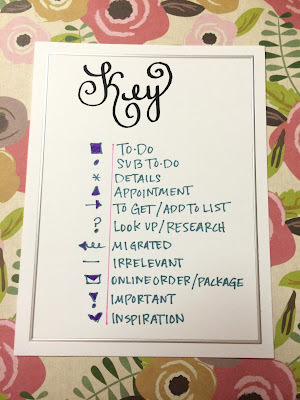 Again with more and more people diving into the Bullet Journal phenomenon there are now a hundred other keys you can use depending on your need. Now aside from Keys there are also something called Signifiers. Signifiers are written before the Key to signify either importance/urgency and/or status. 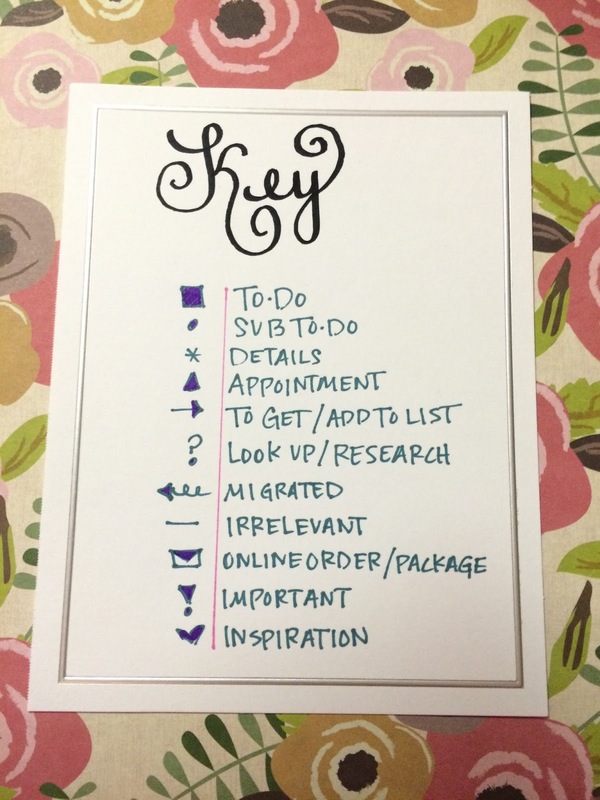 Some like to put number 1, 2, 3 beside the key to signify their Top 3 Most Important Tasks of the Day. Others will put an exclamation point (!) or a asterisk (*) instead. For me I love signifying importance and urgency of a task by highlighting them. If a task is moved on the following day you can add an arrow signifier in the beginning. You can also strike through to show that the task or let's say the event is canceled. If you have questions, clarifications, suggestions or you want to share your own Bullet Journal then please don't hesitate to use the comment section below. Feel free to leave you comment and a link on your blog. Thank you so much. I hope this helps. 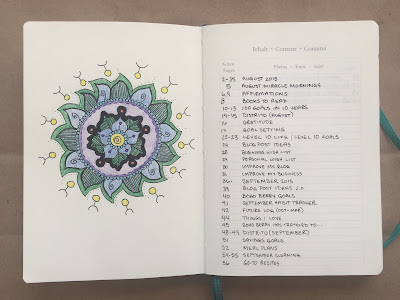 In the Next Bullet Journal post I will be focusing on the Monthly Page in the Bullet Journal.